The near approach of the centenary anniversary of the death of Burns suggested to the author of the following pages the desirability of having some account, however meagre and inadequate, of the past and present history of the parish from which sprung the family rendered now world-famous by the genius of the great Bard. 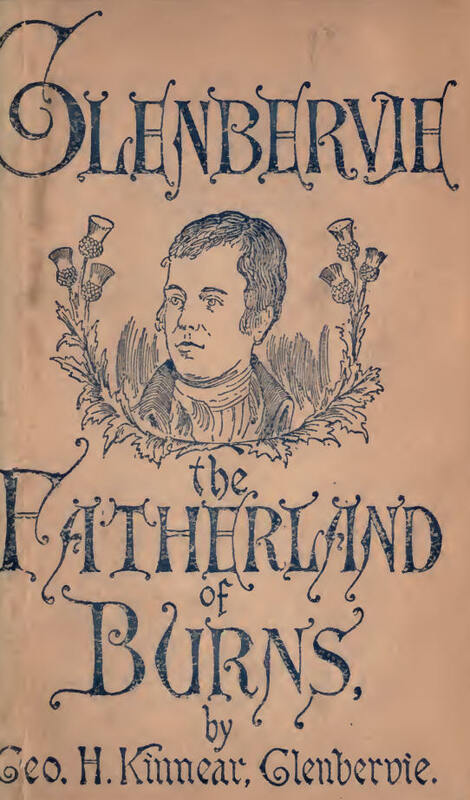 The author, alike from observation, traditionary report, and his own reading, was for a considerable time impressed with the conviction that there was enough of material for a history of the Parish of Glenbervie, cither already recorded, or to be got from trustworthy sources, sufficient to make a small volume, having some interest for natives and residents, if not for a larger public. Besides the very considerable reading and research involved in its preparation, there was necessarily a considerable discrimination to be exercised, not only as to the relative value of whatever came to hand, but also a careful sifting, as to whether it was fact or fiction. The author, therefore, while endeavouring honestly to “prove all things and hold fast to that which is good,” trusts that the public will look with an indulgent eye on the many •shortcomings and inaccuracies which no doubt will be apparent to many of those who honour him by reading the little work. The history of the neighbouring parishes of Fordoun and Laureneekirk has been ably dealt with already, but the author, whilst possessing the good sense and humility to recognise their complete superiority in respect of matter and merit with the present work, yet ventures to hope that there may be here and there scattered through these pages something, however small, towards the elucidation or composition of a complete county history. Amongst the many who have rendered valuable assistance to the author only a few can be mentioned, although grateful thanks are extended to all. To Mr James Badenach Nicolson and Mrs Nicolson, Glenbervie ; the Rev. 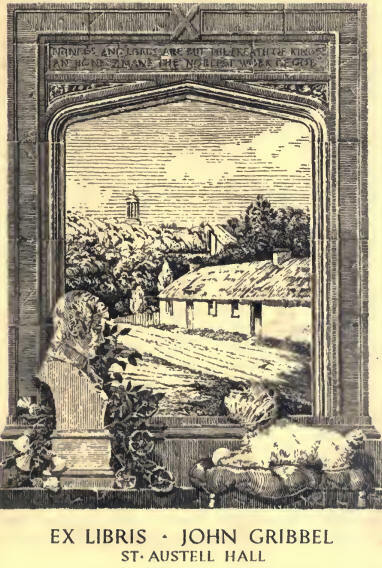 W. Gordon and Mrs Gordon, The Manse; the Rev. R. M. Boyd, F.C. Manse; the Rev. John Brown, E.G. Manse, Bervic, Clerk to the Presbytery of Fordoun, and many others in the parish and neighbourhood the Author is indebted for much of his information. A special word of thanks is also due to Mr W. Reith, one of the oldest residenters in the parish, for many reminiscences of the past. In the publication of the work valuable counsel and help have been afforded by the editor of the Montrose Standard; and to Mr William Watson, of the same office, the author is under a deep obligation for his kindness and help in many ways. The Bums Chapter has been revised, and in great part rewritten by Mr Edward Pinnington, whose, enthusiasm for and extensive knowledge of Burns’ matters are a guarantee of the correctness of the matter contained therein. It is almost entirely taken from a series of copyrighted articles published by him, some time ago, in the Glasgow Evening Xeics and the Montrose Standard, under the title of “ Burns in the. North.” These papers, it is his intention, to republish in book form. The amount of Burns literature nowadays is so vast, and of such easy access that the author did not feel called on to do more in this special chapter than exhibit the salient points of the historical connection of the Bur nesses with the parish. The general scope of the work will tend, it is hoped, to show rather the environing circumstances and conditions of the parish under which many of the Burnesses lived. In addition to the sources of information already noticed, the following works, among others, have been consulted:—Jervise’s “Memorials”; Scott’s Fasti Eeclesiae Scoiicancc; Dr Roger’s “Genealogy of Burns”; Fraser’s “History of Laurencekirk”; Mollyson’s “History of Fordoun”; “The Annals of Fordoun,” by Dr Cramond, Cullen; Robertson’s Agricultural Survey; The Black Book of Kincardineshire; The Old and New Statistical -Accounts of the Parish; The Gleubervie Kirk-Session Records, &c., &c.
The author will be obliged to those who point out to him any errors in matter of fact, so that they may, if necessary, be corrected in future editions.